MADE UP OF APRIL & AMY FROM "THE RANKIN TWINS", SINGING FUN-FILLED AND INSPIRATIONAL SILLY SONGS IN HARMONY AND HAPPINESS. 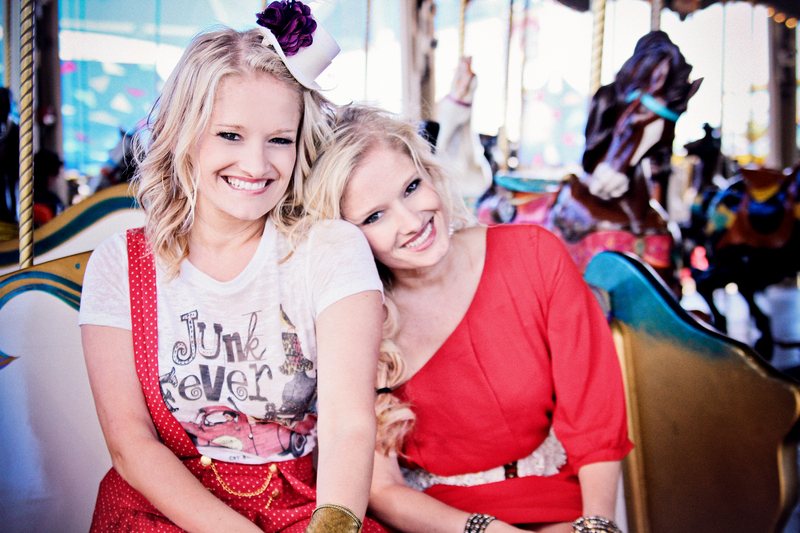 Meet April & Amy- The Twin Sister Country Duo. After touring for 6 years as part of the Texas native country duo, The Rankin Twins, the twins realized how much they loved performing for the little fans. With their energetic and contagious personalities their new Kids Songs are sure to get the kids moovin' and groovin'. April & Amy have been performing since they were cotton top little toddlers, from family Christmas Eve Impromptu recitals to college Karaoke. The girls believe that music plays a vital role in children's lives, whether it's learning something new, helping them through emotional times or just providing an extra pep in their step. After overcoming a brain tumor in 2008, Amy wrote their first radio single "Headaches & Heartbreaks" and so began their journey to spread good vibes to anyone that would listen. Together they would share their motto to "do what you love and love what you do." Now, they are bringing their fun-filled, inspirational, silly songs sung in harmony & happiness to family-friendly events near you.